Configuration management (CM) is a mystery to almost everyone as it was to me when we starting working on the Pioneer Venus contract in 1974. This was a serious concern as I had been chosen to head systems engineering for the program. My first stop in the quest for understanding was the company management directives. I spent the better part of a week reading and trying to understand these with little success—they were incomprehensible. My next step was to talk to Mal Meredith, my systems engineering mentor—Mal at that time was heading systems engineering for the NASA OSO program and he surely would be able to help me. His answer—don’t worry about it—it’s really very easy to understand and when it becomes important you will pick it up quickly. Needless to say this advice was very welcome. Configuration management had its origins in the 1950s as the Air Force was developing ballistic missiles. A missile failure would require fixes resulting in a successful launch, but if the fixes were not properly documented they perhaps could not be replicated. CM begins with the formal release of program documents and drawings and requires that modifications be classified and formally controlled so that the product configuration is always known and under control. When the system is to be delivered to the customer its performance and configuration have to be reported. We started the program and worked the major design issues and advanced into program engineering with the release of specifications and drawings. And this occasioned the need for control of the configuration or configuration management and the appearance of Mike Chekel. The NASA Division had a CM group that Mike headed. We started having weekly Configuration Control Board (CCB) meetings that I was expected to chair. Responsible Engineering Authorities (REAs) would propose changes to modify their subsystem design and the CCB would have to evaluate and cost them making sure that if other subsystems were impacted their REA would evaluate the change. With Mike’s guidance and meticulous record keeping we handled this phase of the program without any major difficulties. The next hurdle was the Orbiter Pre-Ship Review that was held over a four-day period, February 21-24, 1978. It was chaired by Charlie Hall, the ARC program manager, and attended by representatives of various NASA centers, GDC, the launch vehicle contractor, and the experimenters that provided instruments for the mission. The purpose was to show that the spacecraft met all specification requirements and that we knew precisely what items comprised the spacecraft to be delivered. With Mike Chekel’s support we passed those hurdles with flying colors. Systems engineering prepared a System Performance Assessment Document (SPAD) that summarized spacecraft performance versus the requirements. We later received a commendation from Charlie Hall, the ARC program manager that thanked us for “a job well done.” The orbiter was shipped to the KSC launch site on March 15 and was launched on its way to Venus on May 20. I left for the Cape in early March and headed up the systems engineering activities at the launch site. I returned briefly to El Segundo for the Multiprobe pre-ship review April 24-29. The Multiprobe was shipped to the launch site on June 5 and was launched on August 8. With Mike Chekel’s guidance I didn’t find that configuration management was all that difficult. Note: This material is taken from NASA Technical Report TR R-252, Syncom Engineering Report Volume II with some editing. 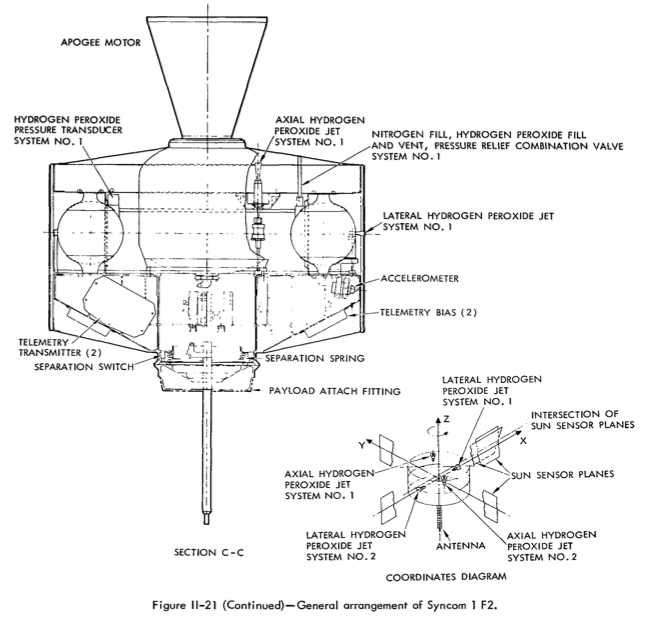 This Syncom Engineering Report, is based on material furnished by the Hughes Aircraft Company and the U. S. Army Satellite Communications Agency, and will cover the launch of the Syncom III satellite, its performance during the first 100 days in orbit, televising of the 1964 Summer Olympic Games by means of the satellite, and various communication tests conducted with it. Syncom III is one of three communications satellites designed and built by Hughes for the Goddard Space Flight Center which have been launched into synchronous orbit. Syncom I was successfully launched in February 1963, but radio contact with the spacecraft was lost shortly after the apogee motor was fired, probably because of an explosion of a nitrogen control system tank. Syncom II was successfully launched in July 1963, becoming the world’s first operational synchronous satellite. This satellite was eventually placed at an area of low perturbation forces over the Indian Ocean after all control system propellant had been expended. From this position it has provided communication links between the Far East, Africa and Europe. The nitrogen control unit was replaced with a second hydrogen peroxide control unit. The apogee motor timer was deleted and redundant provisions were made for a firing by ground command. Four temperature sensors were provided instead of the previous two sensors. The standby battery was eliminated. The P-N type solar cells were replaced by N-P cells and the 0.006-inch cover glass was replaced by 0.012-inch fused quartz covering. The 500-kc bandpass communications channel was eliminated and replaced by a 10 Mc bandwidth channel for television tests with a 50-kc option for small station testing. 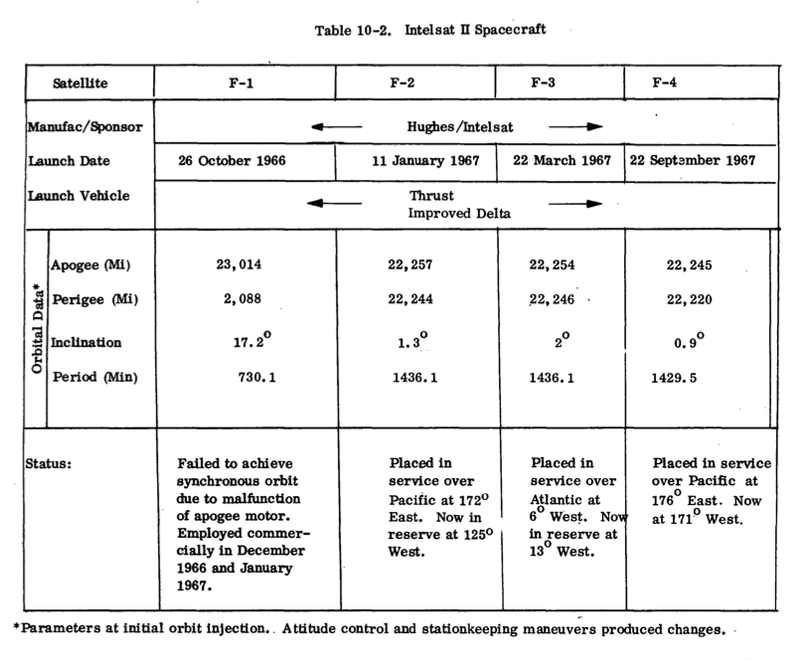 Prior to the Syncom III launch, booster thrust limitations precluded any attempt to reduce the inclination of the Syncom orbit with maneuvers during the boost phase of launch. As a result, Syncom II, although in a synchronous orbit, moves 32″ north and south of the Equator daily. The ultimate objective of synchronous communications advocates has been to place a satellite into synchronous orbit in the equatorial plane. The satellite would then appear to remain stationary and would permit the use of fixed ground antennas without the expense of costly tracking systems. The achievement of this objective by Syncom III became possible with the development in early 1964 of the higher powered Thrust Augmented Delta launch vehicle that could provide enough thrust to permit in flight maneuvers to decrease the orbit inclination. With the Summer Olympic Games of 1964 scheduled to be held in Japan in early October, the use of Syncom III to present live television coverage of the Olympic Games for the American public became a second launch object. Syncom III was launched on 19 August 1964 from Pad 17A at Cape Kennedy, Florida. The launch was near-perfect. The maneuver to reorient the third stage for firing at the Equator crossing was also near-perfect. Third stage burn was good, but coning was experienced after burnout. Syncom III separated with a 14-degree attitude error. Seventeen hours and fifteen minutes later, as the spacecraft approached its second apogee over South America, this error was corrected and the spacecraft was oriented to the proper attitude in preparation for apogee motor firing. At third apogee, 29 hours and 2 minutes after liftoff, at a point above the Equator in Borneo, the apogee motor was fired. Syncom III went into synchronous equatorial orbit and later was maneuvered to a position above the intersection of the Equator and the International Date Line. The satellite was put into synchronous equatorial (stationary) orbit over the International Date Line. Ground stations are able to acquire the satellite and lock their antennas in place. The first 24 hour-per-day, 7 day-per-week reliable communications network has been established across the Pacific Ocean. Live television of the Olympic Games from Japan was a technical success. The first communications through an orbiting satellite to a commercial airliner in flight was demonstrated. The narrow bandpass transponder (50 kc) has provided small-station communications capabilities. The performance of Syncom III has been excellent and no malfunctions have occurred. The satellite has been in almost constant operation since lift off. The only times the transponders have been off was during apogee motor firing and for a few hours each day when the satellite was in the eclipse season. The communication subsystem is a redundant, frequency-translation, active-repeater system. Incoming signals from either one or two ground stations at a frequency of approximately 7400 Mc are received by an antenna with a pattern which is symmetrical about the satellite spin axis. These signals are supplied to two receivers, only one of which is operating at any one time, the desired receiver being selected by command. Both receivers are wide band, one with a bandwidth of 4.5 Mc between half-power points and the other with a bandwidth of 13.5 Mc between half-power points. In addition, the bandwidth of the 13-Mc receiver can be switched to 50 kc. Each receiver consists of a mixer, a local oscillator, an IF amplifier, and a limiter amplifier. When simultaneous two-way, narrow-band communication takes place (duplex operation), the two signal channels are passed through the wide-band amplifier and its limiter. They then modulate the transmitter and are transmitted with power levels approximately proportional to their received signal level. The command subsystem consists of receivers, decoders, and an antenna unit shared with the telemetry subsystem. The antennas consist of two pairs of whips connected through baluns to the two inputs of a hybrid. The two outputs of the hybrid correspond to the two polarization modes of the whips acting as a turnstile system. Each output is connected to a diplexer. Each diplexer provides 148-Mc command signals to a receiver and accepts 136-Mc telemetry transmission from a telemetry transmitter. The two command receivers are identical, parallel units each with mixer, IF amplifier, and AM detector. The detector outputs of the two receivers provide audio output tones recovered from the modulation on the command transmission from the ground. Each command receiver is associated with one of the two redundant command decoders. Either receiver/decoder can exercise complete command control of the spacecraft. The telemetry subsystem consists of the antenna (shared with the command subsystem), two transmitters, each with its associated encoder, and the signal conversion elements. The 1.25- watt, 136-Mc transmitter is phase-modulated by a subcarrier which, in turn, is frequency- modulated by a time-division-multiplexed modulator that samples the amplitude of the various sensor signals. Certain critical control signals bypass the time-division-multiplexed modulator and are permitted to phase-modulate the telemetry transmitter directly. Each transmitter and its associated encoder is one of a redundant pair, each pair operating at a unique frequency. Only one of the transmitter-encoder subsystems is permitted to function at one time, the power to the other subsystem being automatically turned off when the one is turned on. On command, encoder 2 may be disconnected, thereby removing the telemetry modulation and leaving the telemetry carrier to serve as a tracking beacon for the Minitracknetwork. The Syncom orbit injection propulsion subsystem supplies the boost necessary to inject the spacecraft into a nominally synchronous, circular orbit after the vehicle has reached the apogee of a transfer orbit at the required altitude. The spacecraft is launched into the transfer orbit by the Thrust-Augmented Delta vehicle. The required performance and objectives given above are met by the JPL rocket engine designated the Starfinder. The control subsystem consists of the components necessary to establish the desired longitude, to maintain a synchronous orbital velocity, and to orient the satellite spin axis from boost attitude to operating attitude. The subsystem consists of two pulsed-jet hydrogen peroxide propulsion units for velocity and orientation control, solar sensors, and control circuits. An accelerometer for indicating firing is part of the control subsystem. The electrical power subsystem consists of silicon solar cells, a nickel-cadmium battery, combined voltage regulators and switches. The subsystem is capable of supplying approximately 31 watts without drain on the battery when the satellite is not shadowed by the earth. The solar cells are arrayed on the external cylindrical surface. In the operating configuration, the sunline will be within 25 degrees of normal to the axis of the cylinder, a condition met by suitable choice of launch time. The spacecraft structure includes a central, circular member with the separation flange for the Delta third stage at one end and attachment fittings for the apogee motor at the other end. A circularly symmetric bulkhead with reinforcing ribs on the separation side is attached to the member. The electronic units, gas tanks, and four solar cell panels are mounted to the bulkhead. The separation end of the central circular member carries the folding communication antenna. The whip antennas are attached at the apogee motor end of the solar cell panels. Both ends are closed by thermal shields; the shield at the antenna end also serves as an antenna ground plane. Prior to my joining Hughes in August 1973 and after leaving the US Navy in March of 1966 I was with Bendix Field Engineering Corp (BFEC). BFEC at that time had the contract with NASA for ground station support of the STADAN, Manned, and Deep Space tracking and operations networks. I was assigned to the NASA tracking facilities at Goldstone outside of Barstow, CA, and supported both manned and unmanned space missions. During my time there my activities were in support of the last four Gemini missions and the complete Apollo program. 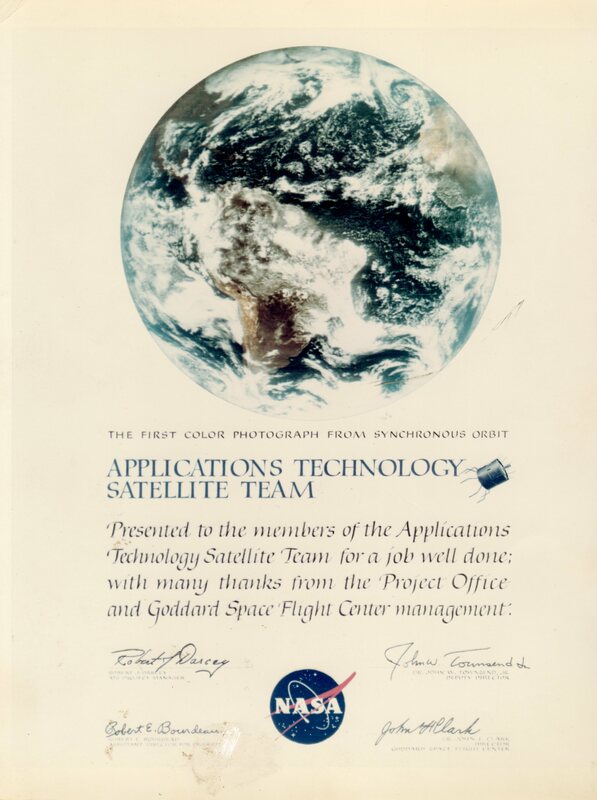 In between manned missions we supported various unmanned programs one in particular was the ATS (Applications Technology Satellites) Program. You mentioned in your writeup the two firsts from ATS-1 and ATS-3 regarding their Spin Scan Cloud Cover camera systems. I looked through my old (very old) files and found these two pictures. 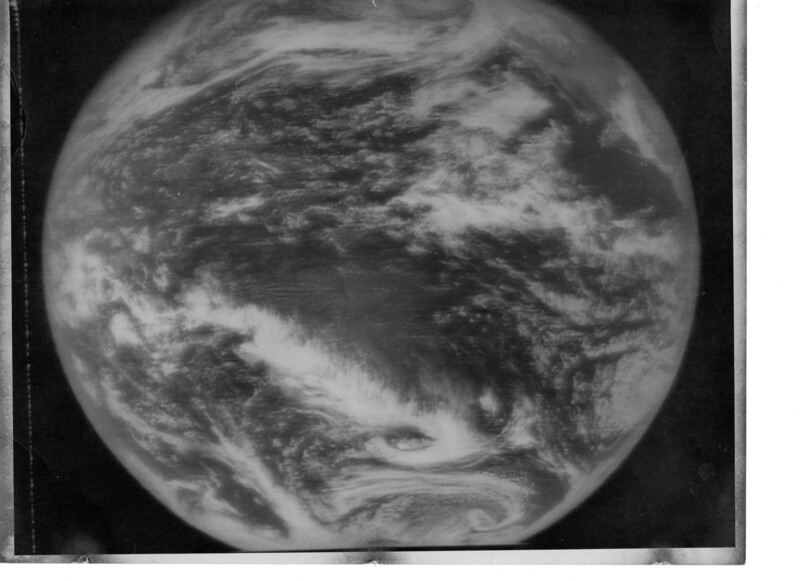 The black and white is one of the very first from ATS-1 that we processed at Goldstone before sending on to GSFC, in the NE corner you can just make out the outline of Baja California. The color photo is a repro of the first color picture from ATS-3 that was on an “Atta Boy” we all got for being part of the team. Approximately a decade following the Syncom initiative Hughes perceived that the major virtues of spacecraft spin stabilization would probably not be sufficient to continue Hughes’ dominance of the geosynchronous ComSat marketplace over the long term. Consequently an IR&D program was established to design and test a body stabilized ComSat “bus” variations of which were later offered in proposals for Intelsat V as well as for several government customers during the mid to late 1970’s. As it turned out, through a series of innovative design and marketplace initiatives, the reign of Hughes’ spin stabilized ComSats extended through the end of the 20th century, before being eclipsed by advanced body stabilized design technology. Why Not Just Keep On Spinning? The primary communication performance characteristics of a “high altitude” ComSat are “Effective Isotropic Radiated Power or EIRP (antenna gain times transmitted power directed toward the coverage area) and receiver “sensitivity” (antenna gain/receiver noise temperature or G/T). The most serious deficiency of an “all-spinning” ComSat design is the absence of a stable element for the mounting of highly directional (high gain) earth-oriented transmit/receive antenna beams1. Additionally, the solar panel “prime power” available for powering communication transmitters and the power management of spacecraft “housekeeping” functions (telemetry, command, sensors, etc.) is derived from solar cells mounted on the vehicles cylindrical spinning “drum” rotor. Relative to a flat, sun-oriented panel, the cylindrical array “geometric” efficiency is about 32%. For a conventional spin stabilized design, the length (and, consequently the power output) of this cylindrical panel is limited by the requirement for passive dynamic stability that the inertial properties of the spacecraft be “disk shaped” with the spin axis moment of inertia larger than that of either transverse axis. Both these antenna gain and prime power technical issues were largely mitigated by major design breakthroughs during the 1960’s and 1970’s. However, the spinning solar array “geometric inefficiency” could not be avoided. This fundamental prime power limitation prompted Hughes’ 1972 IR&D investment in a body stabilized S/C design program. In 1972, Hughes executives recognized that future payload requirements would drive spacecraft design and push the limits of prime power because of the drum shaped solar array geometric inefficiency as well as the diameter and length constraints inherent in available launch vehicle fairing envelopes. While Hughes’ spin stabilized Comsat’s would continue to satisfy nearly all near-term mission requirements, it was understood that body stabilized spacecraft offered power advantages through the incorporation of large deployable, flat, sun-oriented solar arrays. Several satellites developed by our traditional competitors as well as the ATS-F and the Canadian Technology Satellite (CTS) had all demonstrated their capabilities in the early 70’s. Hughes’ challenge was to be ready to meet the growing future mission requirements of our commercial and government customers. The decision to meet these future customer requirements with either a spin or body stabilized control system opened up new technical horizons. While many of Hughes’ existing technologies and capabilities were directly applicable to the implementation of body stabilized spacecraft designs, the hands on experience with body stabilized attitude control systems were limited to the days of the 1960’s Hughes Surveyor (“lunar soft lander”) spacecraft. The fundamental body stabilized design requirements were, in many areas, very different and not uniformly supported by Hughes’ prior design/manufacturing base. Establishing an internal hardware design/manufacturing capability with respect to spacecraft body stabilization was judged as crucial to positioning Hughes for future new business. The primary competition that lay ahead in 1975 was for the follow-on to Intelsat IV. As a result, a working group was set up in Dr. Leo Stoolman’s Systems organization and by the fall of 1972 the HS 361 Internal Research & Development (IR&D) project was put in place. Will Turk was named to lead the “HS 361” IR&D development program. a) Conduct tradeoffs and analyses for an Atlas Centaur Class Spacecraft design to gain insight into various nuances of the design including the unique transition from a spin stabilized transfer orbit into a body stabilized geosynchronous orbit deployment. Thor-Delta class missions were also considered during the later stages of the project. c) To demonstrate substantive proof of concept of the attitude control system through a full up demonstration of the control systems acquisition and pointing control and to build/test a full scale engineering model of the primary body stabilized bus. To these ends the Project achieved all of these goals in late 1974 and a HS 361 body stabilized spacecraft design and test program were completed incorporating an Intelsat V class payload based on early, postulated Intelsat communication design/performance requirements. The 3800 pound HS 361 design incorporated a high speed momentum wheel gimbaled about two axes to control/stabilize spacecraft attitude to within 0.2 degree in pitch and roll and 0.5 degrees in yaw. Earth and sun sensors provide for attitude sensing along with inertial gyroscopes. Magnetic torque rods were employed to unload the wheel momentum accumulated from firing the propulsion jets and from external (primarily solar) torques. The design incorporated a solid propellant apogee kick motor to place the spacecraft into GEO following separation from the Centaur in a geosynchronous transfer orbit. Hydrazine thrusters were used to limit nutation divergence of the spin stabilized spacecraft during the transfer orbit and AKM burn phases to implement GEO N/S-E/W station-keeping. Prime power was derived from a sun oriented Flexible Roll Up Solar Array (FRUSA) which was selected for minimal solar panel weight. The FRUSA was partially deployed to provide power during the transfer orbit and subsequently stowed prior to the spacecraft’s erection/deployment in GEO. A maneuver to orient the spacecraft was performed and the momentum wheel was brought up to speed to stabilize/control the HS 361 in GEO. At this point the FRUSA solar array was fully deployed to provide up to 1 KW of power followed by deployment of the communication antennas. Ni-Cd batteries provided power during solar eclipses. 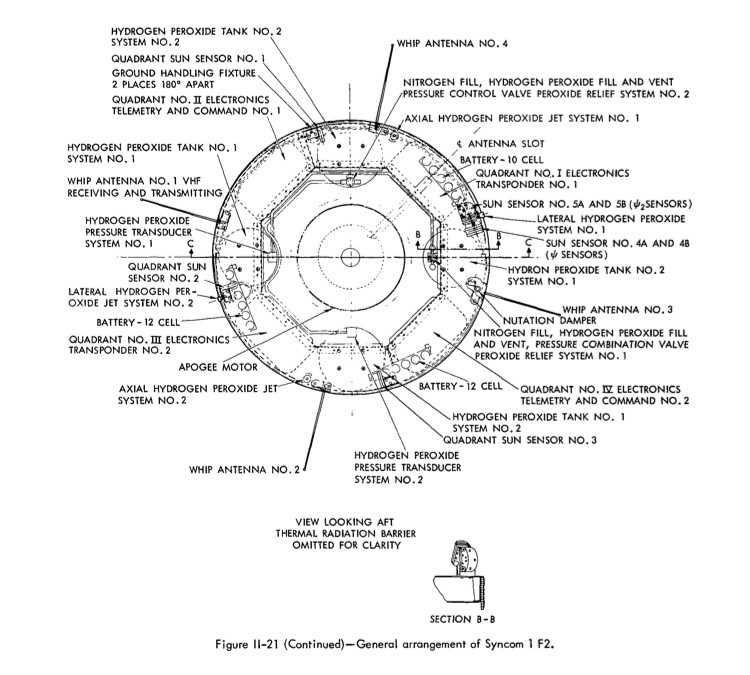 The thermal control system incorporated mirrored thermal surfaces on the North and South faces of the spacecraft to reject internally generated heat loads (primarily from the communication payload’s high power transmitters). For engineering and presentation purposes multiple models were built for testing purposes while several were created to demonstrate the key features of our design. A 1/3-scale model of the HS 361 was developed to show the design features and to demonstrate the various spacecraft states. The extension of the solar array during the transfer orbit and the on-orbit fully deployed solar panel and antennas could be shown with this single model and was used for both internal and customer presentations. The engineering model, shown below, depicts the proposed structural elements containing the AKM thrust tube, propulsion system, the thermal control mirrors and the fully integrated communications payload. While there are no pictures of the Attitude Control Lab built specifically to demonstrate our ability to design and build the HS-361 control system—this critical technology was incorporated in our design and the real time demonstration of the spacecraft attitude control was an IR&D project achievement. 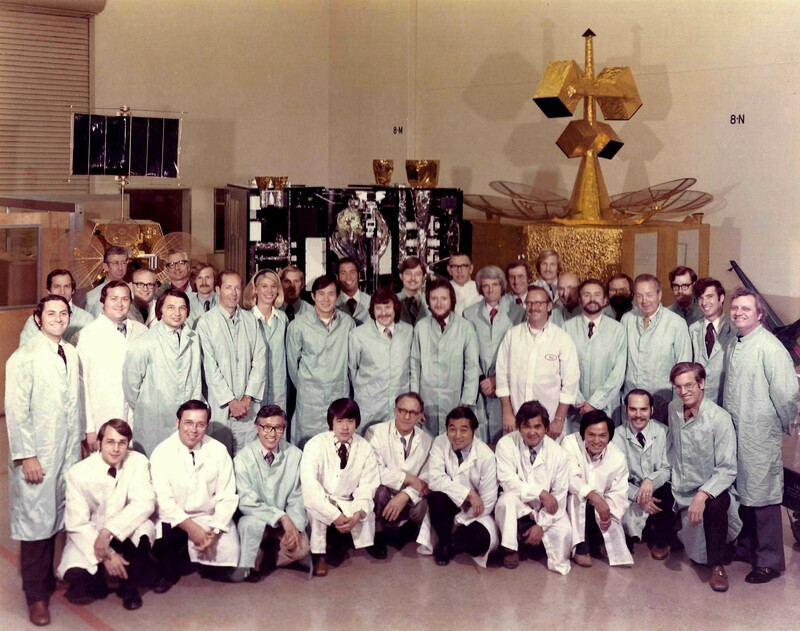 The team that conducted the IR&D program is shown below against the background of the project’s hardware that also included a full- scale mockup of the basic HS 361 bus. The HS 361 project enabled Hughes to position itself for several future commercial and government bids during the mid to late 1970’s. 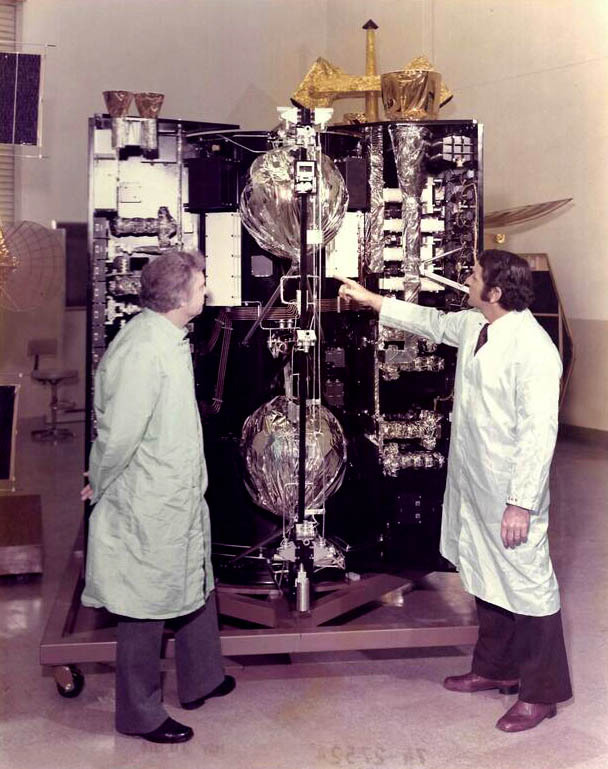 The first opportunity, the Intelsat V RFP, came along in 1975. The proposed Intelsat V body stabilized design was largely derived from the HS 361 development project. However, the Intelsat V design requirements led Proposal Manager Warren Nichols and Steve Pilcher (leading the technical design) to select several design and component alternates. The bus shape was modified and the tanks were positioned for improved inertial properties. A solid, hinge deployable, hard-backed solar panel was selected to meet higher power requirements. In fact, Hughes offered two spacecraft designs in response to the Intelsat V RFP, a spin stabilized configuration based on the dual spin Intelsat IV A and as well as a body stabilized design. Although Hughes was not awarded the Intelsat V contract (nor any of the subsequent 1970’s body stabilized proposal opportunities), Intelsat confirmed that both of the Hughes S/C offerings were in full compliance with the Intelsat V’s technical requirements. 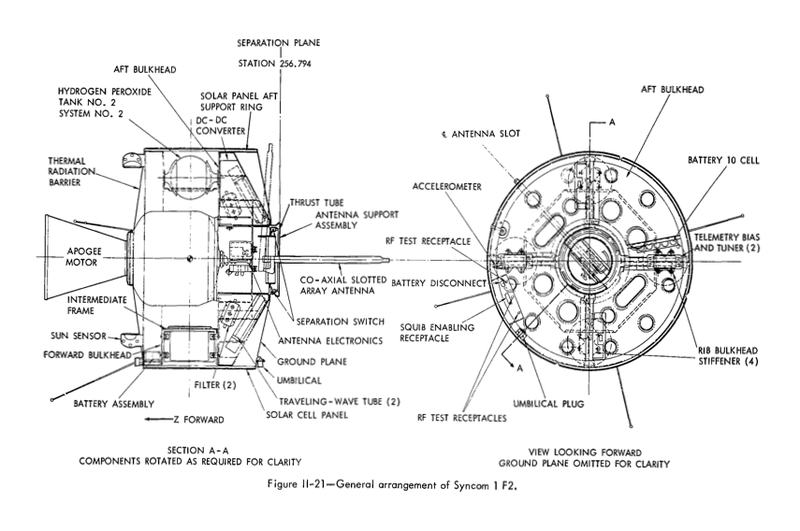 The incorporation of “despun”, earth oriented antennas and the “Gyrostat”, dual spin configuration dramatically improved the communication performance of the Hughes’ family of spin stabilized spacecraft designs while retaining the major advantages of spin stabilization.2 These critical design initiatives enabled spin stabilized designs to maintain a competitive marketplace advantage throughout the 1970’s. With the advent of NASA’s Space Transportation System (STS) or Space Shuttle initiative (1972), another opportunity for a major improvement in the communication performance and cost-effectiveness of spin stabilized ComSats became available. To attract satellite users and manufacturers to adopt the Shuttle as their launcher of choice, in the mid 1970’s NASA offered a very attractive price for a ride to low earth orbit (LEO). This price was a small fraction of the cost of launching on an expendable launch vehicle, but left the GEO S/C customer responsible for orbital transfer of their STS payload from LEO to GEO. As it turned out implementation of the required orbital transfer maneuvers was a great design match for the Hughes spin stabilized “integral propulsion” designs. Additionally the Shuttle’s payload bay envelope was much wider (15 feet in diameter) and longer (60 feet) than any available expendable launch vehicle’s. During the first half of the 1980’s four Shuttle optimized wide body ”Leasat” ComSats for support of US Navy communications as well as numerous HS 376 domestic ComSats were launched into GEO by the Shuttle. Hughes enjoyed a major cost-effective competitive marketplace advantage employing Shuttle launches until the disastrous loss of the Shuttle Challenger and its crew in January of 1986. This watershed event prompted the government to preclude the additional STS missions which would have been necessary to support the growing demand for the launch of unmanned spacecraft4 so unfortunately, the Shuttle “party was over”! Within weeks of the Challenger disaster, Hughes management realized that Hughes family of spin stabilized spacecraft was at a significant cost/performance disadvantage with launches restricted to expendable L/V’s. Consequently, the Space and Communications Group (S&CG) embarked on an ambitious design program, to develop a superior, state-of-the-art body stabilized spacecraft which became the HS 601 series. With the introduction of the very successful HS 601 and HS 702 body stabilized spacecraft “product lines” the era of Hughes’ ground-breaking spin stabilized ComSats effectively ended with the expiration of the 20th century. 1. See “Slicing the Bologna” subsection “Focusing” for the dramatic communication performance enhancements available employing “despun”, earth oriented spacecraft antennas. 2. See “Slicing the Bologna” subsection “Syncom” for the primary attributes of spacecraft spin stabilization. 3. The USAF’s “Multi-Mission Bus” introduced NiH battery technology to Hughes’ spacecraft implementing major improvements in battery efficiency, capacity and life. Also incorporated for the first time was mono-methyl hydrazine and nitrogen tetroxide (MMH/N2O4) higher Isp liquid bi-propellant propulsion. 4. The government granted two waivers to this prohibition based on the unavailability of expendable launch vehicles capable of accommodating Hughes’ “wide body” S/C configuration. STS launch of the fifth Leasat took place on 1/9/1990 preceded by the classified launch of the USAF’s MMB in the late 1980’s. 5. A more complete description of S&CG’s history with respect to their body stabilized design initiatives is presented in “Slicing the Bologna” under subsection “HS 601/702”. A new antenna design introduced on an HS 376 satellite for Mexico may have a far-reaching impact on future spacecraft. Mexico’s Morelos communications satellite, designed and built by Space and Communications Group, is the first commercial spacecraft that uses a streamlined antenna design, consisting of a single reflector system to operate in both C- and K-band frequencies. 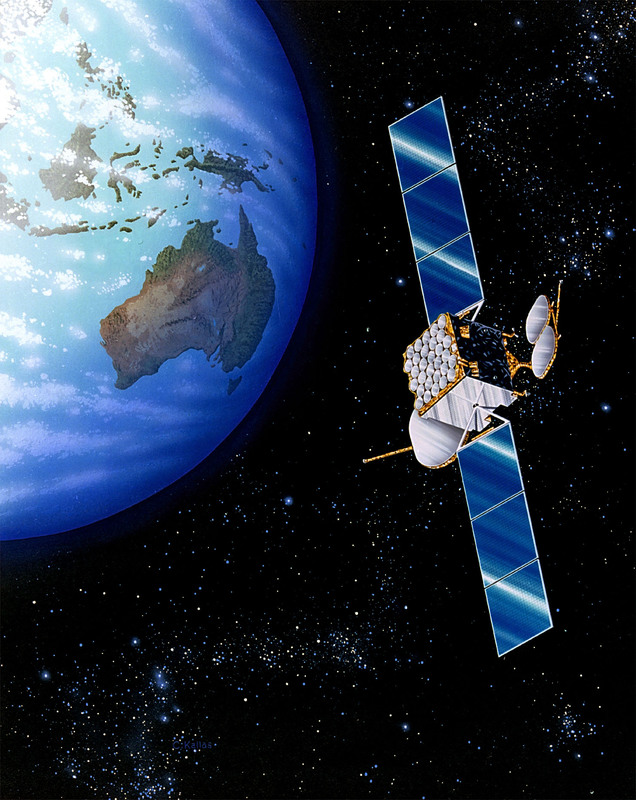 All SCG commercial spacecraft, with the exception on Intelsat, operate in only one of the two major communications bands. The new Intelsat VI series, being built at SCG to serve a consortium of 106 countries, uses a multiple-reflector system to enable the giant satellite to operate in both bands. On Morelos, the additional reflector has been replaced with a planar array, a simple beam configuration that has been used for decades on radar systems. On a relatively small domestic communications satellite such as Morelos, multiple-reflector systems can create potential deployment, structural, and alignment problems. The planar array, which is 1-inch thick by 1 ½-feet tall by 3-feet wide, replaces a K-band receive reflector that would have been approximately 3 feet by 6 feet. Senior project engineer Tim Crail, originator of the new application for the old planar array technique, saved the company $1.2 million with his proposal. The idea earned him recognition as the top Cost Improvement Program participator in SCG for 1983. Mr. Crail’s simple solution to a complex problem was a boon to the performance capabilities of Morelos, enabling clear reception in both C- and K-band frequencies. “Never to my knowledge has the planar array been used to generate a highly contoured beam that will illuminate specified land masses,” said Mr. Crail. A patent disclosure naming Mr. Crail and staff engineer Sandy Shapiro as co-inventors of the new antenna system is pending approval in the U.S. Patent Office. “The patent could be very significant,” said Mr. Shapiro, a major contributor to the conception and development of this antenna. “One of the advantages of the modularized phased array antenna design is that it could be reused for many applications in the same frequency band,” he explained. The planar array will give Mexico the first satellite that has a direct- radiating antenna system. The satellite’s high-performance capabilities also were accomplished through the design and development efforts of senior scientist Tom Hudspeth. In appreciation of the satellite’s unique capabilities, the customer has selected the outline of the antenna system as a major part of the design for the Morelos emblem. A typical launch vehicle flight path starts with a vertical ascent from the launch pad. The vehicle accelerates slowly with the thrust-weight ratio somewhat greater than one for a typical liquid first stage booster. As sufficient altitude is gained a pitch maneuver in the desired downrange direction is introduced. For the remainder of the flight through the atmosphere the angle of attack is maintained at zero with the thrust vector aligned with the vehicle velocity to minimize aerodynamic loads. This is known as a gravity turn trajectory and is usually flown open loop with a preprogrammed pitch schedule. Subsequent ascent once through the atmosphere will utilize a closed-loop adaptive inertial guidance system. The Surveyor terminal descent system introduced the concept of a gravity turn to the vertical on approach to the lunar surface. However this cannot be done open-loop as velocity and slant range to the lunar surface are required. This is provided in body coordinates by the Radar Altimeter and Doppler Velocity System (RADVS), an L-band radar, that provides the four beams required to determine range and velocity. The bulk of the lunar approach velocity is removed by a solid rocket motor. Before ignition, the vernier engines are turned on for attitude control of the spacecraft during the burn and final descent. The attitude reference for the spacecraft is provided throughout by a pair of rate integrating gyros. The attitude is changed as needed by precessing the gyros. At burnout, the vernier engines are throttled to 0.9 lunar g until the solid motor is released and separated. When the RADVS acquires the lunar surface and range and velocity data are available, the attitude control system acts to align the vehicle thrust axis with the velocity vector. This is done by precessing the gyro attitude reference to null the transverse velocity measured by the RADVS. Thereafter the vehicle follows a parabolic profile of range versus velocity designed to bring both close to zero at the surface. The difference between the measured range and the target range is used to control the combined thrust of the vernier engines. This profile is followed until a speed of 10 ft/sec is reached at which time the thrust axis is nearly aligned with the lunar vertical. The attitude then remains fixed and a velocity of 5 ft/sec is maintained to an altitude of 13 feet where thrust is terminated and the spacecraft free falls to the lunar surface. A novel feature of the Surveyor gravity turn in final descent is that it works over a wide range of approach angles. That’s made possible by the RADVS which provides continuous measurements of the range and velocity in body coordinates. That in turn enables the on board controller to align thrust axis to the velocity vector and bring both the velocity and range to near-zero at the surface. The parabolic range-velocity profile used for thrust control was approximated with an analog function generator. There was no digital computer on board. A gravity turn trajectory is the natural result of gravity along the vertical and retro-thrust along the velocity vector bending the flight path toward the vertical. All who have worked at the Hughes Space and Communications Group know of the Syncom development by Dr. Harold Rosen and his key team members, Don Williams, Tom Hudspeth and Dr. John Mendel. There is however, a somewhat earlier company activity in communications satellites that remains relatively unknown. A study was performed by the Communications Systems Laboratory (CSL) of the Aeronautical Systems Group under the direction of Dr. Samuel G Lutz. Dr. Lutz, the laboratory manager, was well known to Hughes management. In 1956 and 1957 he had formulated his thoughts on satellite communications and presented them to Hughes management. In late 1957 a Space Communications Group was formed within CSL devoted to satellite communication study and research. Except for a subcontract with Lockheed for the WS117L project this group was supported by Hughes general research funds. Dr. Lutz obtained his PhD at Purdue University and was professor and chairman of the electrical engineering department at New York University from 1945 to 1951 before he joined Hughes. He directed Hughes communications engineering from 1951 to 1958. In 1958 he become a senior scientist at the Hughes Research Labs where he directed studies of satellite communications and regularly consulted with Harold Rosen. In 1962 he was named chief scientist at the Research Labs. He worked, lectured, and published numerous papers and articles on communications and satellites. He focused on future issues such as applications, technologies, frequencies of operation, sharing of orbital locations, methods of increasing communication capacities, earth antenna sizes, modulations, link noise allocations, government policies, and international CCIR and CCITT regulations and coordination. In December 1960 at the California Academy of Science conference in San Francisco, he envisioned 360 geosynchronous satellites hovering 1º apart “enough to satisfy the worlds long-range communications for several centuries”. In July 1961 he published an IEEE paper on broadcasting by satellites directly to home television receivers, perhaps the first time that this possibility was recognized. In 1973 Dr. Lutz was honored by the IEEE Communications Society, along with Claude Shannon, with the Edwin Armstrong Achievement Award. In the few years just following the launching of Sputnik in October of 1957, this country was in turmoil. Many activities were initiated in reaction to the USSR “threat”. The Advanced Research Projects Agency (ARPA) was founded in 1958 and many space projects were being considered. The first ARPA project was SCORE, an Atlas missile launched into a 32 degree inclined elliptical orbit with a communications payload that could receive, record, and transmit messages. Score was launched on December 18, 1958 and its batteries lasted 12 days. Echo was a 100-foot diameter Mylar balloon originally devised by NASA Langley to study the effect of atmospheric drag and solar pressure on satellite orbits. John Pierce at Bell Labs realized that Echo might serve as a passive communications satellite by reflecting microwave signals from and back to the Earth. Echo was launched August 12, 1960 by a Thor Delta and successfully relayed messages and data across the U. S. The Hughes Communications Division later designed and built the Passive Satellite Research Terminal (PSRT) AN/FRC-40 60-foot experimental ground station for Echo and installed it in 1963 at the Rome Air Development Center in New York. The Hughes study, “Satellite Communications, An Initial System for Global Communication Via Satellite Relaying,” is documented in a brochure written by the Communications Systems Laboratory personnel and Dr. Lutz. One key contributor was Donald Miller, who later in the 1960’s worked with Dr. Rosen’s group. The brochure is undated but apparently completed in early 1958. It described a system of satellite communications that could have been provided with 1958 technology. This pre-Syncom study was an attempt to indicate to the U. S. government and military that Hughes had the interest, resources, and technical breadth to conduct the analysis, design, and construction of communication satellites. The orbit selected for this study maintains the satellite apogee (maximum altitude) of an elliptical orbit continuously over the northern hemisphere to maximize time available for communications for the most populous regions. This type of orbit was later selected for the first USSR domestic communications satellite, Molniya, launched in 1965, and thus became known as a Molniya orbit. By selecting an orbital inclination at 63.4 degrees the apogee would remain fixed over the northern hemisphere and with a period of 12-hours the Molniya satellite could provide 8 hours of communications service. 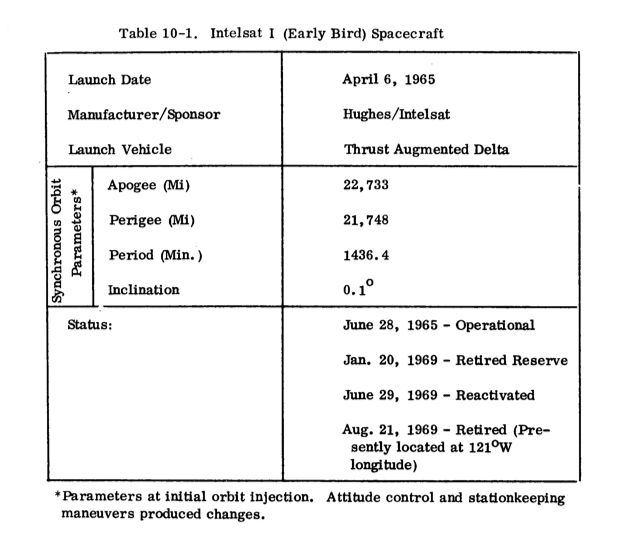 The Hughes 1958 study adopted a Molniya-type orbit with a period of 4.8 hours, an apogee of 9500 miles, and a perigee of 500 miles as limited by the launch vehicle capability of that time. With a modest initial investment, it was projected that the satellite could be placed in service within one year. Available launch vehicles limited the satellite to 125 pounds. The selected VHF frequencies were 143 MHz uplink and 133 MHz downlink within a government allocated band. Downlink performance was based upon the 10 watt transmitter and a 0 db gain omni satellite antenna. The bandwidth of 100 KHz would be comparable to the capacity of TAT-1, the new transatlantic cable of 1956. The result was a simple straightforward system with readily available components for both the satellite and ground elements. The launch vehicle selected was a Thor ballistic missile, launched from Vandenberg AFB, with a second stage of six Aerojet 890-pound solid rockets. The third stage was a single Aerojet rocket and would remain integral with the satellite when expended. The satellite was spin stabilized, with no onboard propulsion capability so that the accuracy of the achieved orbit was entirely dependent upon the launch vehicle guidance. The solar power was 36 watts average with a 25 pound nickel-cadmium battery pack. The system included three satellites and four ground stations, each with a 60-foot parabolic tracking antenna. The estimated total cost was $6.4 million including the launch vehicles and four launch attempts. The launch facilities at Vandenberg AFB were assumed to be government furnished. The study also identified the ultimate synchronous orbit system with fixed ground antennas. It recognized that a single geosynchronous satellite and fixed ground antennas could be simpler and superior for global coverage. Such would have to await technology developments and launch vehicle capability improvements. The Syncom development in 1959 under Dr. Harold Rosen was progressing independently. Before Hughes invested corporate funds in its development, Dr. Andrew V. Haeff, Vice President of Research, formed an independent task force to evaluate the Syncom design with Dr. Lutz as chairman. The other members were Donald Miller, Ed Felkel, Dr. Harold Rosen, and J. H. Striebel. The task force report in October 1959 was unanimous that the Syncom development was feasible. In 2008 Dr. Rosen stated “The resulting Lutz report enthusiastically made the case for the communication satellite venture that would be funded and operated by Hughes.” Hughes subsequently funded the Syncom development. Further satellite studies by the Communications Division of ASG were discontinued. The control of stationary earth satellites is one of the most important near-future applications for low-thrust space propulsion systems. The function of the propulsion system in this application is twofold, attitude control and station keeping. In the attitude control mode, the system must hold the orientation of the satellite about three axes to a specified angular accuracy for a period of years. This is accomplished by imparting small but frequent angular impulses to counteract disturbance torques which arise from such natural effects as solar radiation pressure and micrometeorite impact, and such internal effects as gas leakage and moving parts. In the station keeping mode, the control system must maintain the satellite in a stationary position relative to the surface of the earth. The two major sources of orbit perturbation (position change) of a 24 hour satellite are the triaxiality of the earth (elliptical equator) and the gravitational attraction of the sun and moon. The triaxiality effect causes the satellite to oscillate in an east-west direction with amplitude of up to 90 degrees longitude and with a period of about one year. A velocity increment of 17 ft / sec / yr is necessary to counteract this perturbation. The solar-lunar perturbations tend to pull the satellite in a north-south direction resulting in maximum change in orgit inclination (latitude of 0.948 deg / year. A velocity increment of 167 ft / sec / yr is required to correct for this latter effect. Therefore, a total velocity increment of 184 ft / sec / yr must be provided by the propulsion system each year to maintain the satellite longitude and latitude. The Hughes Research Laboratories has recently been awarded a contract by NASA to develop an ion propulsion attitude control and station keeping system for the purpose of controlling 24 hour satellites. The system will employ cesium surface-contact ion engines to provide thrust in the nine directions necessary for complete satellite control. The ion thrustors used for station keeping will produce a thrust of 1.5 mlb whereas 0.5 mlb is the thrust level of the attitude control thrust devices. This system, when used to control a typical 500 lb. satellite, would operate in the following manner. The station keeping engines would thrust about 10 minutes each day for the east-west orbit correction and a total of about 1 ½ hours for the north-south correction. The attitude control engines will operate only a few seconds approximately every quarter hour. The propellant required by the ion engines to hold the satellite to the desired orientation and to maintain proper station longitude and latitude for a period of three years is only 2.25 lbs. A comparison of the weight of the ion propulsion system with equivalent cold gas systems shows that as the total impulse required increases (i.e.. as mission time or satellite weight increase), the ion propulsion system becomes more and more attractive. Most of the weight of the low specific impulse cold gas systems is in the propellant, whereas, for the ion engine most of the weight is in the power source. The advantage of the ion engine is that its over-all weight will increase very slowly with required operating time (less than 1 lb. per year). For satellite lifetimes of two or more years, ion propulsion will provide the lightest control system. Hughes is on the home stretch of a complex, lengthy legal dispute spanning two decades over a patent relating to space technology. The company is seeking $1.2 billion in damages from the U.S. government for use of the Williams patent on more than 100 spacecraft. The patent was filed by Hughes in 1960 in the name of Donald Williams, a Hughes physicist, whose invention was critical to the development and success of the communications satellites. The trial, which opened in the Los Angeles area to hear testimony from West Coast witnesses, has moved to the U.S. Court of Claims in Washington, D.C., where proceedings resumed. Witnesses who have testified on behalf of Hughes include Chairman of the Board Albert Wheelon who, in an unusual court session, gave his testimony in Space and Communications Group’s High Bay, and retired Chairman Albert E. Puckett, who testified in court. The government has indicated that it plans to put between 90 and 100 people on the witness stand to refute the company’s claims to compensation under the Williams patent. Hughes has battled to protect its patent rights almost since the time the invention was first used in 1963 on Syncom, the first synchronous satellite. Crucial issues involving the scope of the patent were resolved in Hughes’ favor in a September 1983 decision by the Court of Appeals for the Federal Circuit after being tangled in a complicated string of legal actions. Validity of the Williams patent, which also was disputed, was affirmed in the same decision. During the present phase of the proceedings, the question is not whether patent rights were violated, but how much money will be awarded for the infringements. The courts will determine the number of spacecraft that have infringed, a royalty rate for the use of the invention, and the amount of money to be awarded as delay compensation. 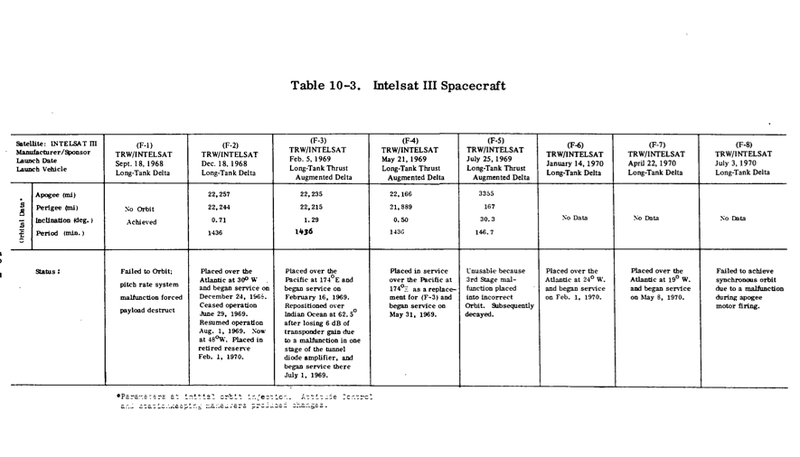 Hughes’ request for $1.2 billion involves a royalty rate of 15 per cent of the cost of each spacecraft based on a precedent set in 1965 in which INTELSAT, the International Telecommunications Satellite Organization, acting through its U.S. agent, COMSAT, agreed to pay Hughes 15 per cent for using the invention on its commercial spacecraft. The Williams invention made possible a spacecraft whose attitude could be controlled through “precession,” a type of motion achieved by spin-synchronous pulsing of thrusters. The brilliant Mr. Williams, who died in 1966 at the age of 34, was selected by the U.S. Chamber Commerce as one of the nation’s outstanding young men of 1965 for his invention. He had worked with Harold Rosen, now a Hughes vice president, and Tom Hudspeth, a Space and Communications Group chief scientist, to build Syncom, the first satellite to provide communications over a portion of the Earth. During the development stage, when funding of his work on the satellite was jeopardized, Mr. Williams volunteered his life savings to keep the program alive. General mistrust involved doubts about such revolutionary technology as well as concerns about the quality of voice communications from a satellite in as high an orbit as 22,300 miles above Earth, where the satellite would appear stationary above a specific area of the globe. Hughes persisted, however, and NASA was eventually persuaded to buy and launch Syncom. 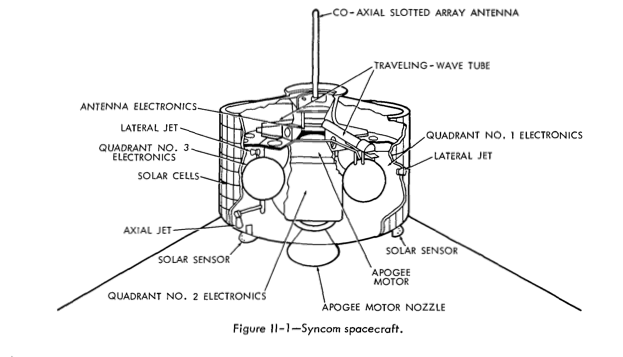 The first Syncom, launched in February 1963, exploded before reaching its final orbit. Five months later, however, Syncom II was launched into synchronous orbit, where it heralded a new era in instant communications. NASA, which had funded the project, requested in 1966 that the U.S. Patent Office issue the Williams patent to NASA instead of Hughes. NASA claimed that the Williams invention was first reduced to practice during the performance of the NASA Syncom contract, thereby making NASA the owner of the patent. Hughes countered that Mr. Williams had built a working model prior to the NASA contract and that the invention was, thereby, first reduced to practice in a Hughes laboratory using company funds. The U.S. Patent Office Board of Patent Interferences sided with NASA, but the adverse 1969 ruling was appealed and, in 1972, the Court of Customs and Patent Appeals agreed with and gave title to Hughes. The Williams patent was issued to Hughes Sept. 11, 1973. The matter, however, was far from being resolved. Government satellites built by other companies were using the Williams invention without compensation to Hughes. Hughes consequently sued the government for infringement Nov. 13, 1973. The practice of suing the government for patent infringement is not uncommon, said Hughes patent attorney Steve Mitchell. As a result of pre-award negotiations with bidders, the government often assumes infringement liability to shield contractors from legal actions by patent owners, he explained. The Hughes versus the U.S. government case dragged on, as often happens with patent infringement lawsuits and over the years, became snagged in a web of legal actions. These included a ruling in 1979 that the Williams patent was invalid, which was reversed a year later by the Court of Claims. In another development in 1982, the patent was declared valid, but limited in that it did not apply to new technology that enabled satellite control commands to be stored in an onboard computer and later executed automatically instead of in real time, as was the case with Syncom. Hughes appealed and the ruling was overturned in 1983. During the 15 years that the case has been pending, numerous government-procured spacecraft have infringed the patent. In the meantime, Hughes sued Ford Aerospace and Communications Corporation for using the Williams patent on the commercial Intelsat V series of spacecraft. This case was dismissed last year after Ford agreed to settle out of court. Terms of the settlement were not disclosed. The trial in process is the final leg of a 21-year legal dispute in which Hughes has not wavered from its original position stated Feb. 3, 1967, when the company began its battle against NASA in the U.S. Patent Office to establish ownership of the Williams invention and the right to be compensated for its use.